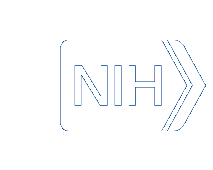 The NLM Classification data are available to all requesters, both within and outside the United States. There is no charge for obtaining the data. The data are available to all requesters, both within and outside the United States. There is no charge for obtaining the data. If the use is not personal, (a) the U.S. National Library of Medicine must be identified as the creator, maintainer, and provider of the data; (b) the version of the data must be clearly stated by publication and year, e.g., 2006 NLM Classification and (c) if any modification is made to the data, this must be stated, along with a description of the modification. Neither the United States Government, nor any of its agencies, contractors, subcontractors or employees makes any warranties, expressed or implied, with respect to the data, and, furthermore, assumes no legal liability for any party's use, or the results of such use, of any part of the data. You will not assert any proprietary rights to any portion of the data, or represent the data or any part thereof to anyone as other than data of the United States Government. These terms and conditions are in effect as long as the user retains any of the data obtained from this site. PDF documents require the use of the Adobe® Acrobat® Reader, which can be downloaded from Adobe's Web site at no charge. This zip file consists of HTML encoded pages of the NLM Classification; note: the search functions of the online NLM Classification are not operational when using these HTML pages. To download the NLM Classification HTML files, click "Download HTML" above. A download window will open: select "Save the file to disk" and click OK. You will be prompted for a location on your computer to save the zip file. After the zip file has successfully downloaded use your software to unzip the file.